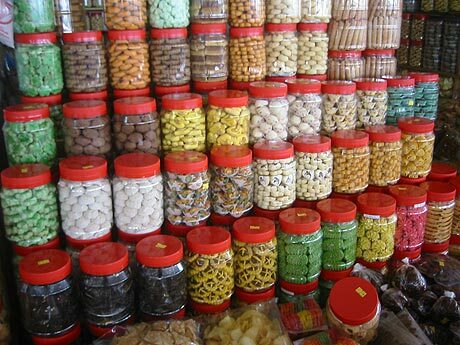 I think I mentioned it before somewhere that one of the highlights (of not the highlight) of Malaysia is the food. 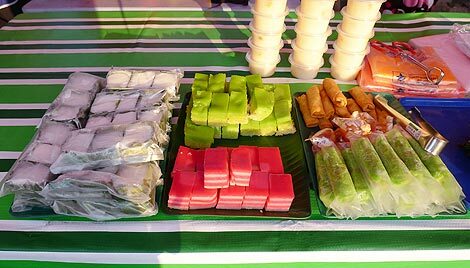 Besides the flavourful and sometimes spicy main dishes there is huge variety of cakes and desserts, commonly refered to as Kuih (or Kueh). 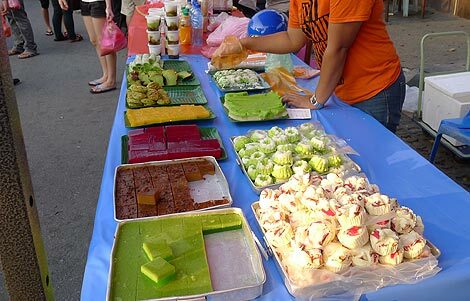 Many of them are based on coconut and pandan.